Do you like mushrooms? Perhaps you like them sauteed. 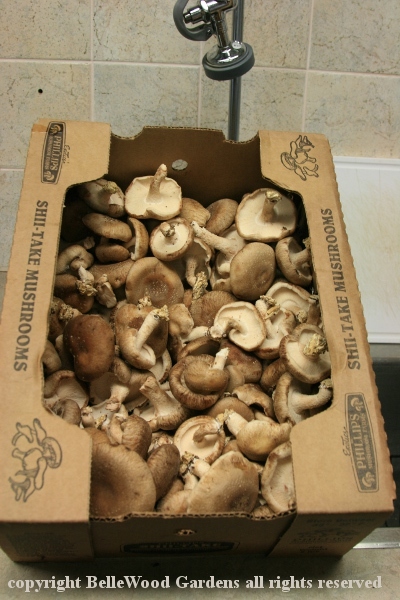 Maybe you expand your horizons from the supermarket's white button mushrooms by purchasing portobella, or shiitake. 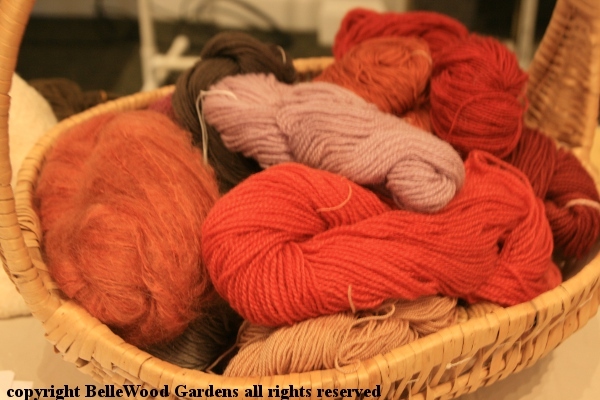 Let me tell you there is so much more, both culinary and for crafts and ecologically important. Don't believe me? at the Frelinghuysen Arboretum in Morristown, New Jersey. 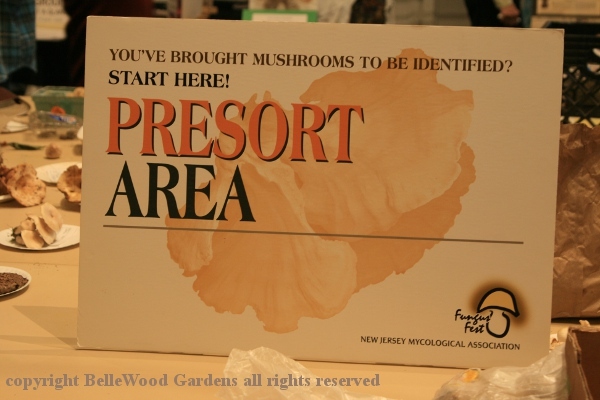 is the bring-your-fungi, get-them-identified area. Amazing what comes in. the underground mycelium, so vital for the health of the forest. to beautiful lavenders and purples. Ursula and her group answer questions. 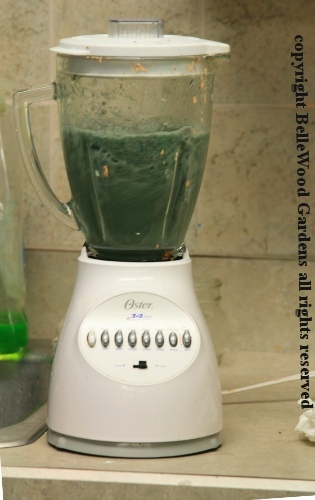 have modification to pH, which mordant, if any, was used. 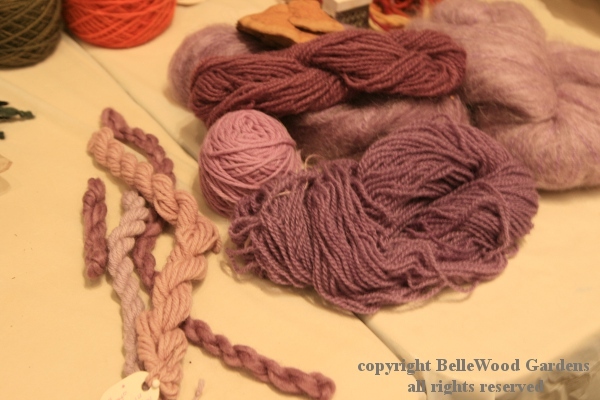 And a yarn sample. 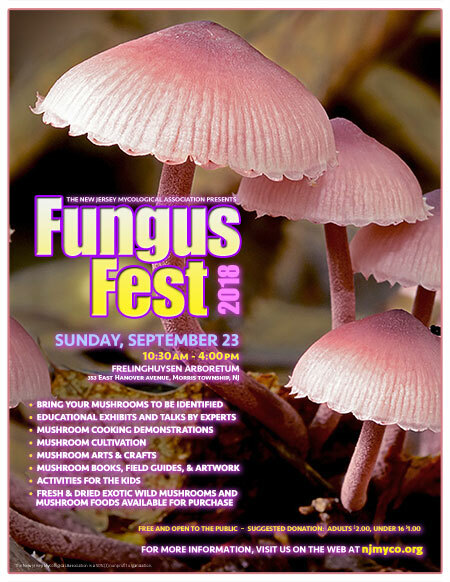 There's much more upstairs: a children's craft corner, a microscopy setup, grow-your-own display, books for sale for both mushroom identification and culinary, membership booth, and more. You could be excused for thinking that this is all there is. But wait, there's more! A list of fungus festivities downstairs, and reminder of the mushroom walks. 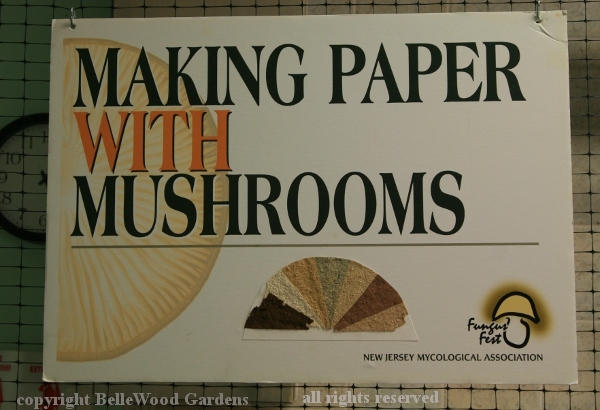 Did you know you can make paper from mushrooms? Indeed, yes. 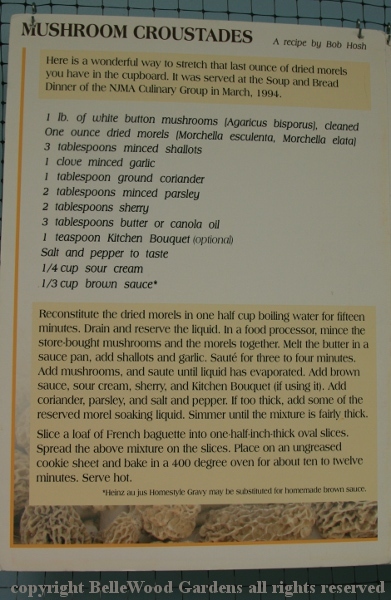 First, make a slurry from the appropriate mushrooms. 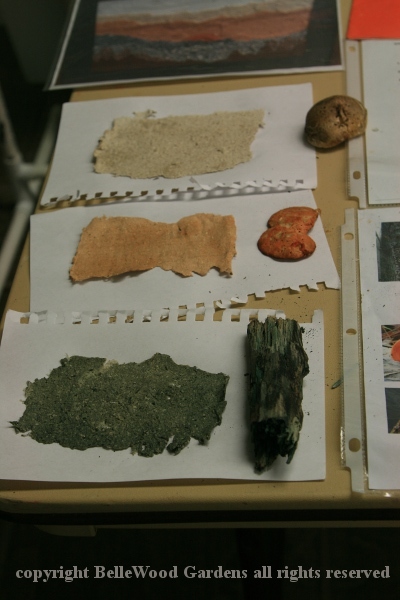 Just like any other paper making, dip some out with a mold and deckle. Let extra water drain, use sections of newspaper to dry some more, then use an iron to heat and press. 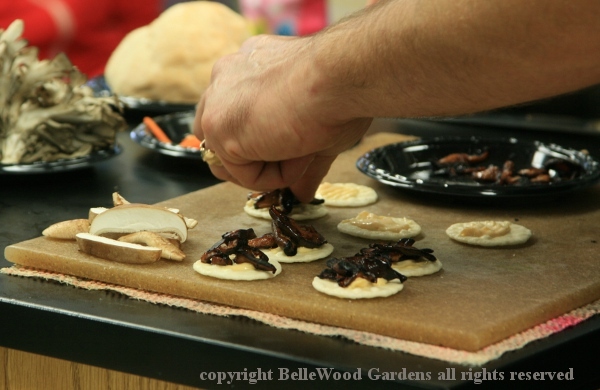 Popular with children and adults both, who get to take the sample of mushroom paper they have just created away with them. 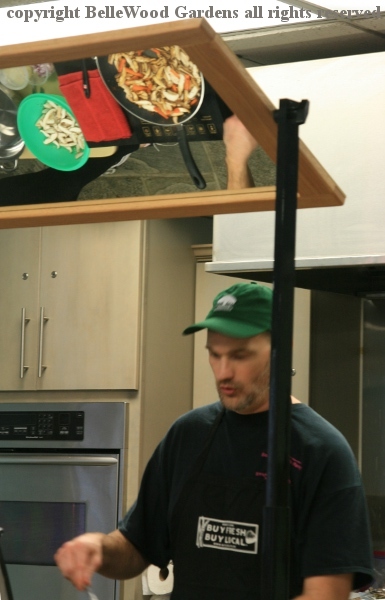 But the really popular event is the culinary area, where Luke Smithson, NJMA president and professional chef, is putting his talents to work. 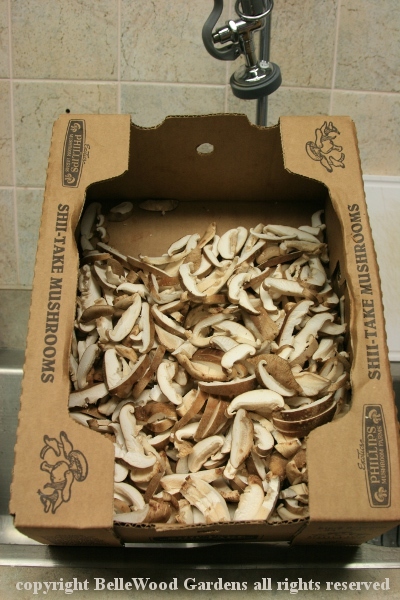 box of shiitakes. Also less familiar but let's stay with these. Luke has helpers who prep the mushrooms. 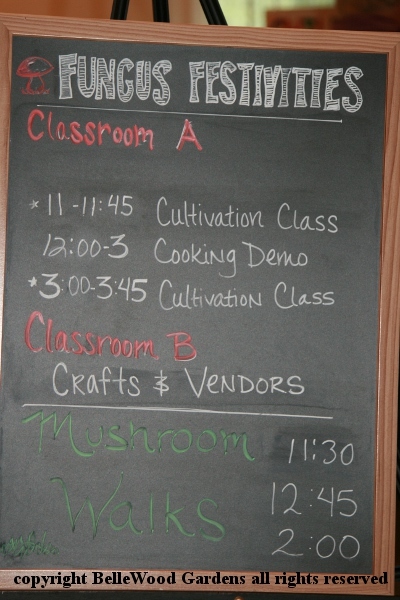 Recipes are displayed off to the side, for interested visitors to copy. 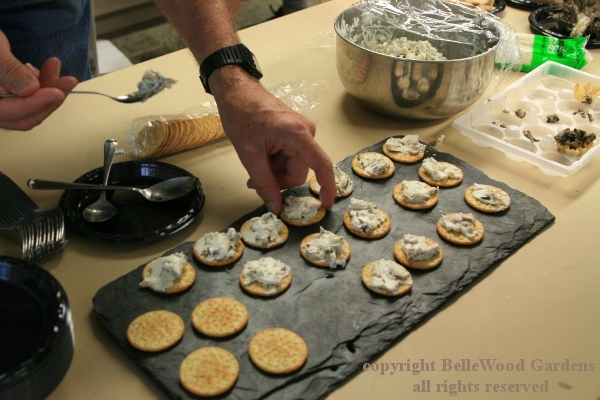 Better yet, there are tasting samples, like these amuse bouche. Luke makes it seem effortless as he prepares mini sized shiitake bahn mi from marinated sliced shiitake, using a George Foreman style indoor grill. Rice cracker, a quick spread of mayonnaise with sriracha sauce, a few pieces of shiitake, and garnish with carrot, for color and crunch. arranged over Luke's work surface. Then, best part, sample the results. There's another room, where Mainly Mushrooms is selling an incredible range of fresh and dried mushrooms. 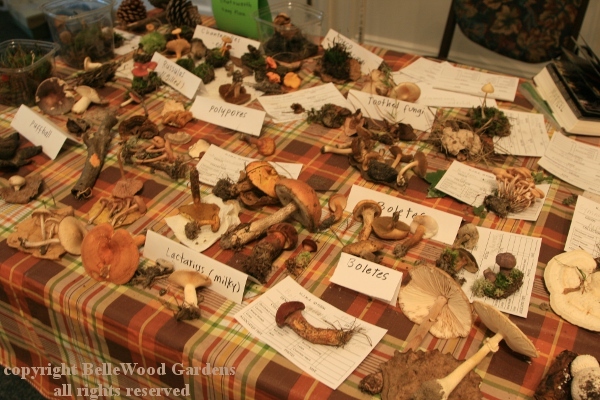 Jim has a table of vintage gardening / horticulture books and mushroom prints. Jewelry made from mushrooms. And more. 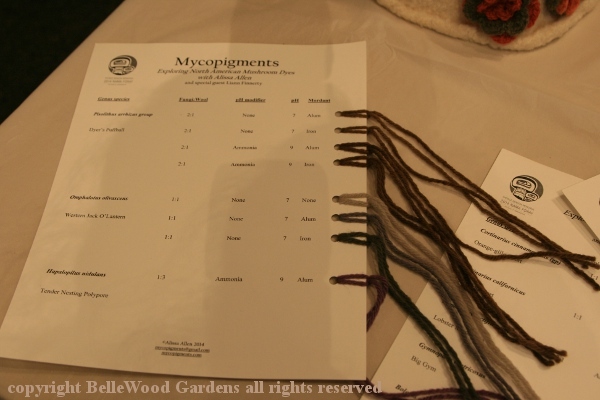 An incredible diversity of events and happenings, under the connecting umbrella of fungi.